People are starting to spend more and more time in front of their devices so that they can stream television shows and programs. There is something great about being able to watch episode after episodes of shows with your partner. While some people think that zoning out to television might not be the best for couples, we’re here to show you why every couple should still take some time to watch shows together. The first reason that you are going to want to binge some TV shows together is that they bring you to the same physical space. You and your partner get the luxury of sitting on the couch or lying in bed, enjoying television shows. Being close to one another is something that you can’t put a price on, and the fact that you are consuming a great show together makes it even better. The next reason that you will want to watch TV together is that it creates an emotional attachment that you can connect to your own lives. For example, if you’ve been watching Game of Thrones since the show started, then you are completely invested in the outcome. More important, you are invested in the show together so that you can experience the emotional payoff when everything is settled. This will make it better for the two of you to watch together so you share in the journey and the outcome. What is a better conversation starter than trying to puzzle what is going on in a show like How I Met Your Mother? You come up with theories and discuss who is a good person and who isn’t. The long form television shows that exist today will help you have conversations for days and days. It’s a great way to connect with your partner and think about all of the interesting things that are happening on your latest show. 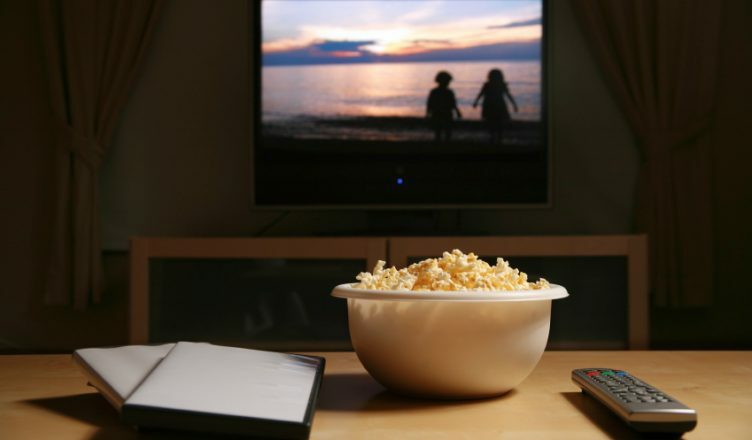 The next reason that you want to watch television shows together is that it can connect you even when you are apart. Twenty years ago, there was no way for two people to really stay connected when they were away for work or something. Now, you can fire up a joint account on a streaming service, video chat one another and it will feel like you’re at home. Using a site like Onenightfriend can be the host of your online long-distance relations as well. That’s a great method for you to maintain a sense of normalcy while making sure you don’t fall behind on TV shows. Finally, using shows to explain a little bit about your past can be beneficial as well. You might want to learn about what it is like to be a single parent, a police officer, or a wide variety of other things that are covered in details in both dramas and documentaries. You can use shows as a way to educate your partner on some of your past or present struggles. Most of the time this will put you in drama territory, but it’s a good way for a couple to grow. All in all, there are a lot of reasons that you and your partner should take some time to binge some shows together, even if they are a little sappy. You get to be in the same place physically or communicate across distances with each other. You’ll learn about one another’s preferences, pasts, and more. The bottom line is that if you’re looking to spend some time with your partner, this is a great way to do it.